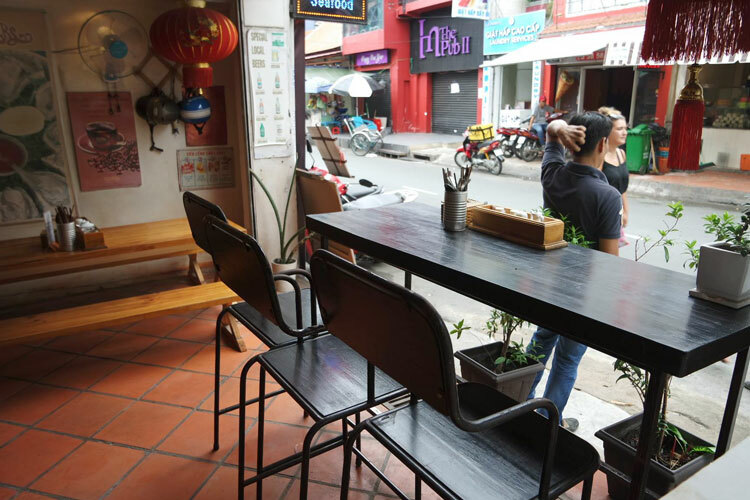 Ho Chi Minh City's street food scene can be daunting for first-time visitors. There are food vendors everywhere ... but what are they selling? All the signs are in Vietnamese and the displays can be a bit confusing. 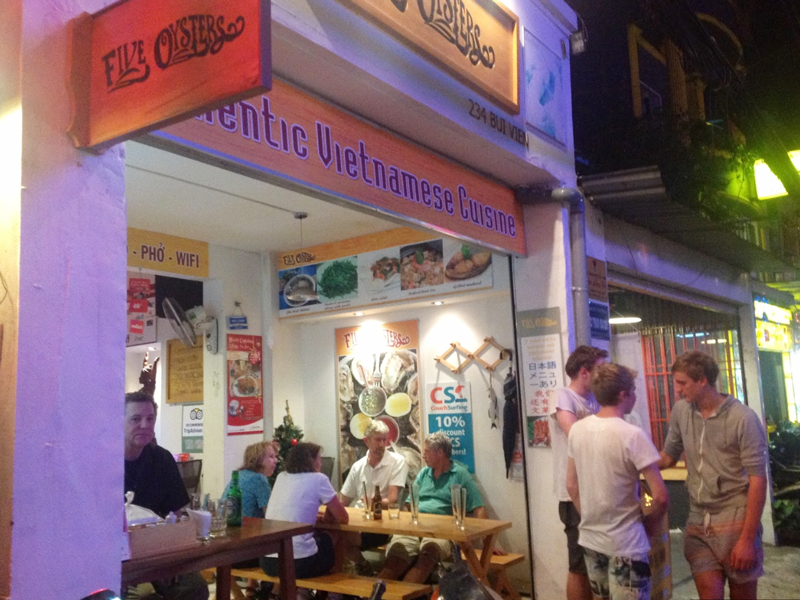 Sticking to the places with English menus and/or staff who speak English means you miss out on some of the tastiest and healthiest food in the world: cheap and cheerful Vietnamese street food. 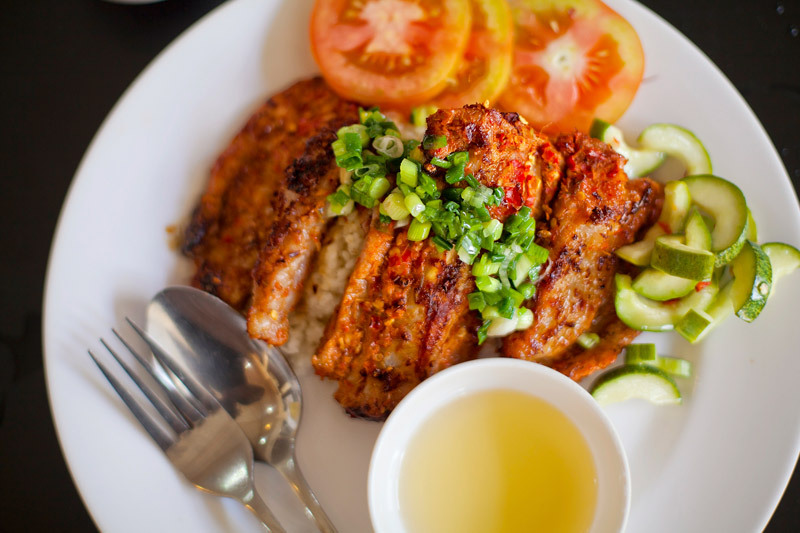 Here's a quick guide to the 10 most popular street food dishes in Ho Chi Minh City. 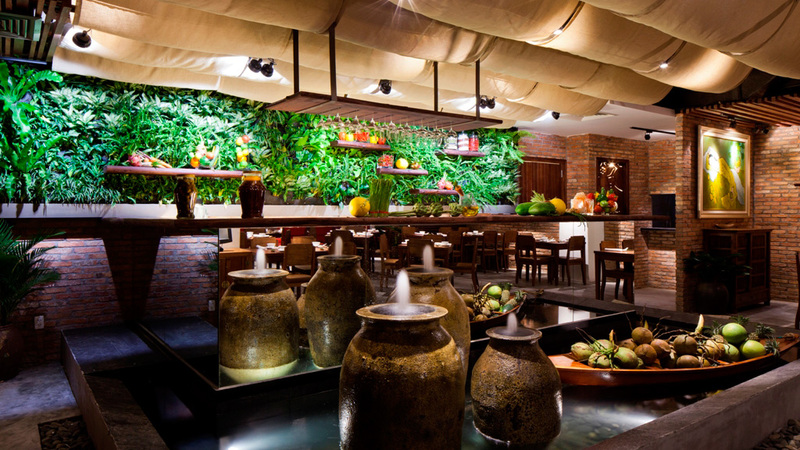 Vietnam's unofficial national dish originated in Hanoi, but the dish evolved as it travelled throughout the country. 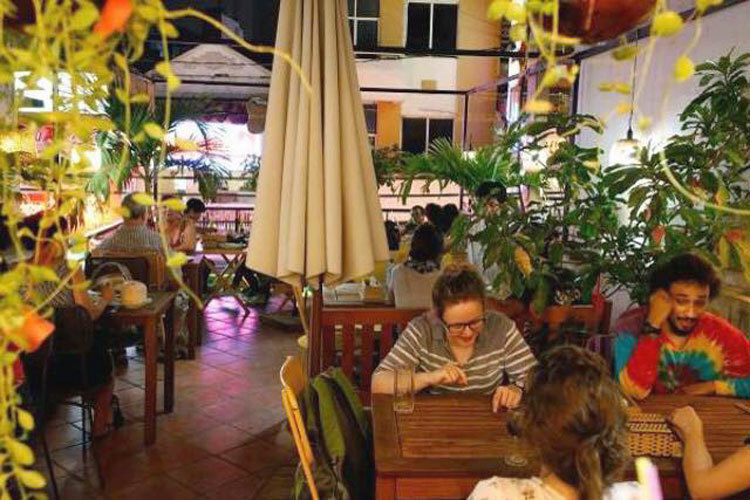 In Ho Chi Minh City, pho is served with an abundance of fresh herbs and a range of condiments so each diner can create something that pleases their palate. 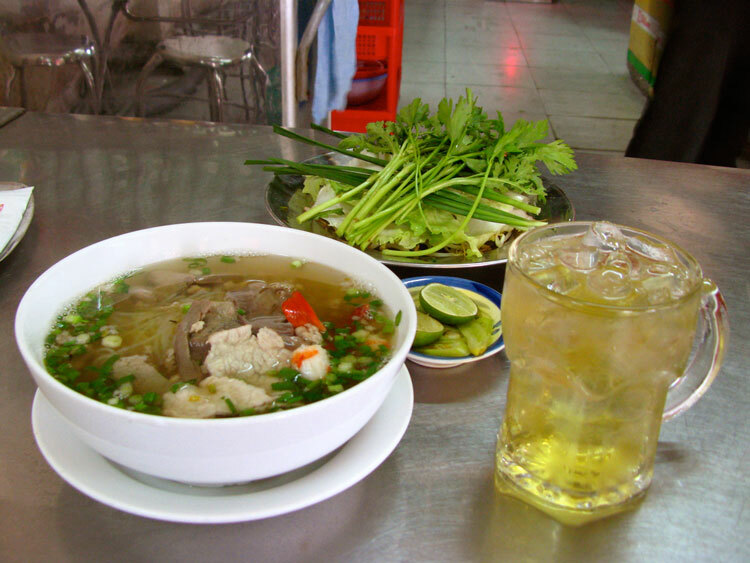 The most common type of pho is pho bo, or beef pho, followed by pho ga, or chicken pho. It's possible to find vegetarian, seafood and even pork pho. 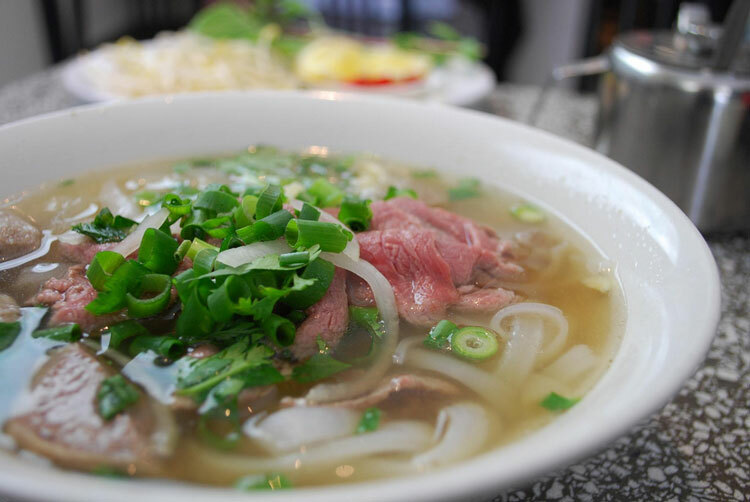 Pho is a dish that's usually eaten out because it takes many hours to prepare and has many ingredients, many of which are considered medicinal. Star anise and cinnamon are believed to have anti-bacterial and anti-viral qualities, which can be boosted with the addition of pickled garlic, bean sprouts and a generous handful of herbs. 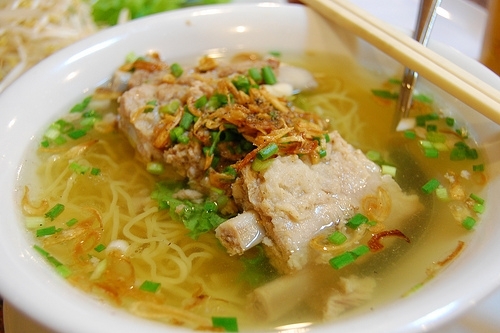 This pork and rice-noodle dish can be served "wet" as a soup or "dry" as plate of noodles with a small bowl of broth on the side. 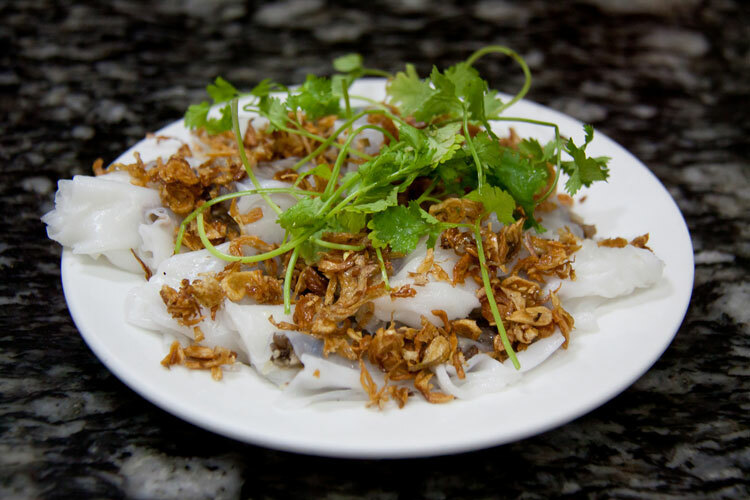 Believed to have been created a few hundred years ago by Chinese people living in Southeast Asia, versions of hu tieu can be found in Vietnam, Cambodia and Thailand. In Ho Chi Minh City, two types of hu tieu are served: hu tieu My Tho from the Mekong Delta town of the same name, and hu tieu Nam Vang from the Cambodian capital of Phnom Penh (Nam Vang is the Vietnamese name for Phnom Penh). While there is no hard-and-fast recipe for these two versions, generally hu tieu Nam Vang contains slices of offal, such as pork liver and heart, and hu tieu My Tho has prawns, quail eggs, ground pork, pork ribs and sometimes slices of squid. The dish is usually served with a platter of herbs, including edible chrysanthemum, chives, lettuce leaves, as well as bean sprouts, sliced chilli and lime wedges. In Southern Vietnam, these sizzling savoury pancakes are giant bright yellow affairs, stuffed with pork, prawn and bean sprouts. The pancakes are served with platters of leaves, which are used as wrappers. To eat, tear off a chunk of the crispy pancake and place it in the centre of a mustard or a lettuce leaf, add a selection of basil, balm and perilla leaves and roll up into a giant green cigar. 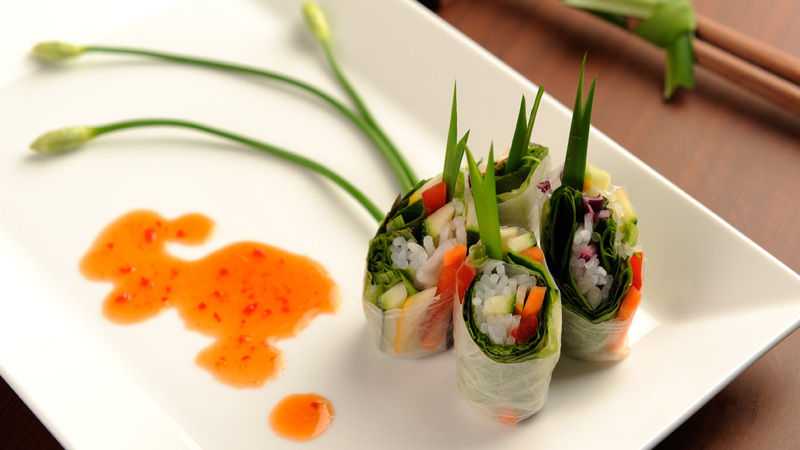 Dip the end in the nuoc cham dipping sauce and enjoy! Banh xeo are named for the sizzling sound the pancake batter makes when it hits the hot wok: xeo. 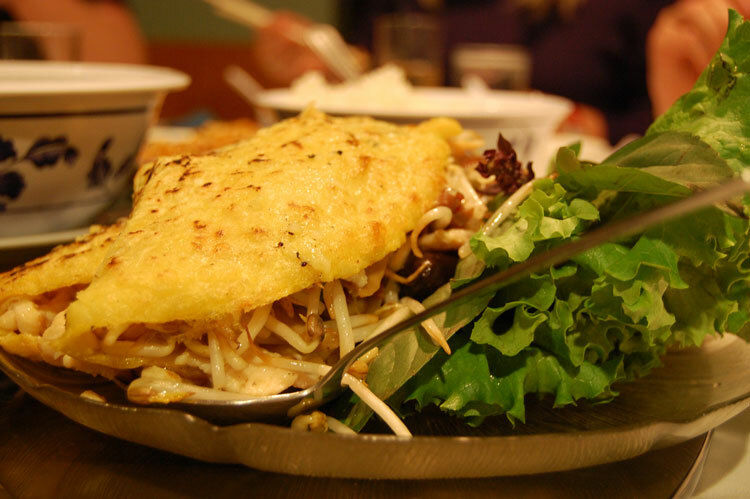 Banh means cake, so the literal translation of this dish is "sizzling cake". 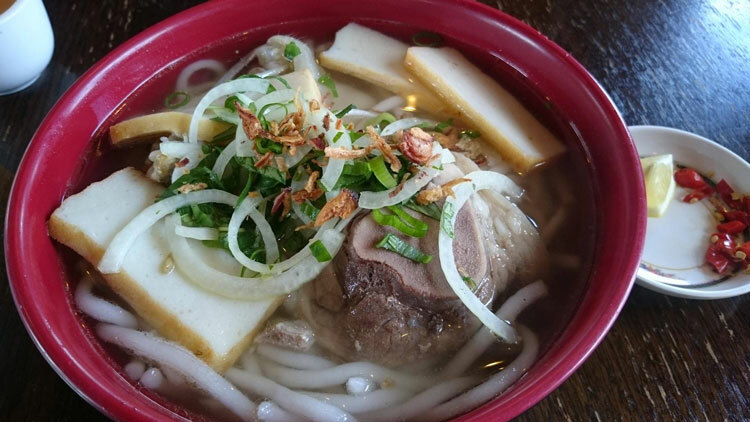 One of the more filling Vietnamese noodle soup dishes, banh canh starts with a pork broth, which is sometimes thickened with a little cornstarch. The noodles, made from tapioca, are more fat and chewier than plain rice noodles. Popular with penny-conscious students, banh canh is a simple soup served for breakfast, lunch and dinner. Some street vendors in Ho Chi Minh City serve banh canh with long, skinny fried Chinese doughnuts to add more bulk to the dish. The doughnuts should be torn into bite-sized chunks and added to the soup. These light fluffy baguettes are one of the most noticeable relics of French colonial rule. Vietnamese bakers improved on the French baguette by making the bread lighter and crispier, while street food vendors enhanced things further by making the fillings more balanced. The most common type of banh mi in Ho Chi Minh City is served with a thin layer of pate, mayonnaise, various cuts of deli meats, slices of cucumber and chilli, pickled daikon and carrot and a selection of fresh herbs. 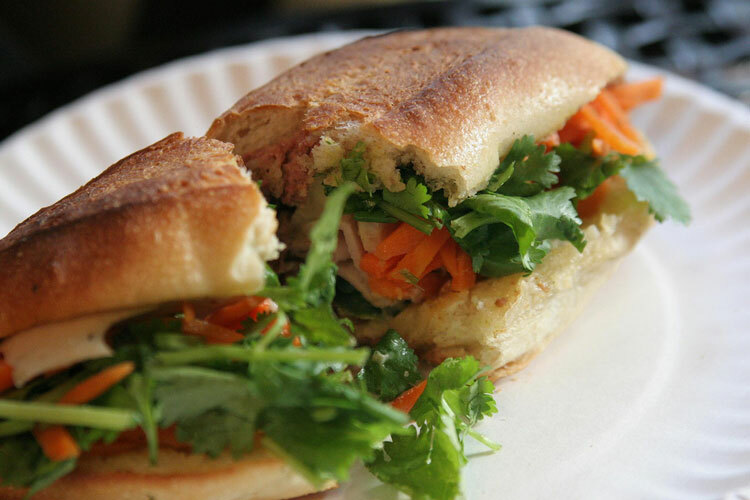 This version is known as banh mi thit, which translates literally as meat baguette. A great on-the-go breakfast is banh mi op la: a toasted baguette filled with a fried egg, cucumbers slices, a sprinkle of pepper and a slug of soy sauce. 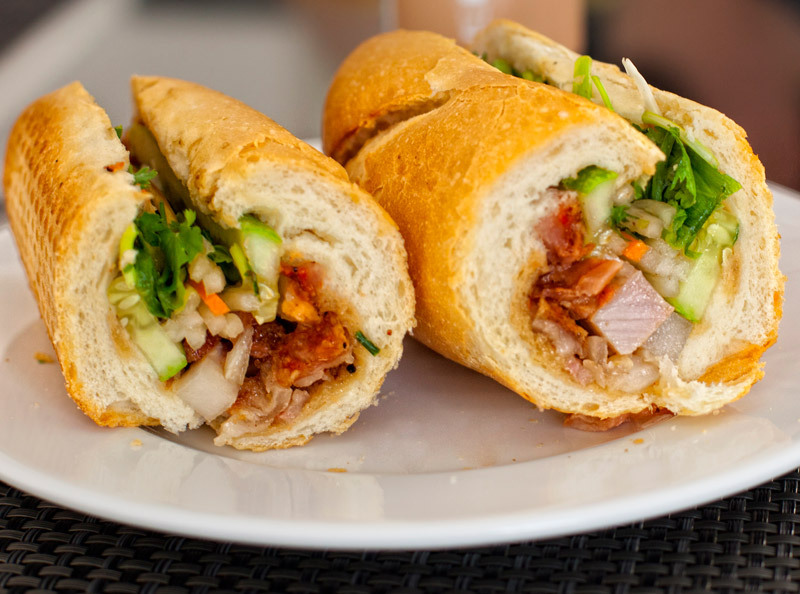 Banh mi heo quay is a hefty serve of roast pork belly, cucumber and a tangy barbecue sauce. Banh mi heo quay vendors can be identified by the slabs of roast pork hanging from hooks on the front of their carts. A rarer type of baguette is banh mi xiu mai, which some Americans call a Vietnamese meatball sub sandwich. Xiu mai is a pork meatball cooked in a homemade tomato sauce. The filling of this banh mi usually depends on the individual vendor, with the most common additions pickled carrot and daikon, sprigs of coriander and slices of cucumber and chilli. If you notice small yellow cans on display on a banh mi cart, this means the vendor also served sardine baguettes, known in Vietnamese as banh mi ca hop (literally canned fish baguette). 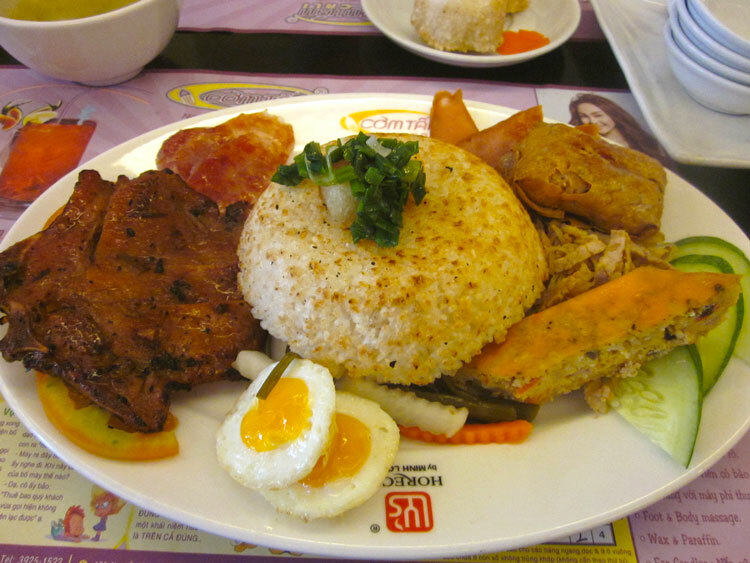 This dish originated in the Vietnamese capital of Hanoi, but is very popular in Ho Chi Minh City as breakfast or a light meal. Banh cuon is usually translated as a steamed crepe. The crepe, made from a rice flour batter, is stuffed with a mixture of shredded woodear mushroom, pork mince, jicama (sometimes called Mexican turnip), baby prawns and bean sprouts. The unwieldy and lumpy wrap is sliced into bite-sized pieces and sprinkled with fried shallots. 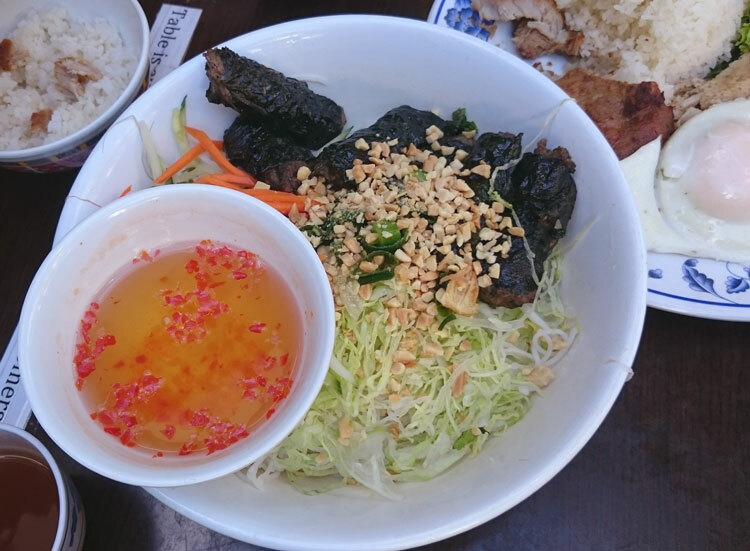 The dish is usually served with a range of side dishes, including thick slices of Vietnamese sausage called cha lua, a tangle of shredded greens and nuoc cham, the fish sauce-based Vietnamese dipping sauce. For the best taste sensation, dump the nuoc cham sauce over everything on the plate and dig in. 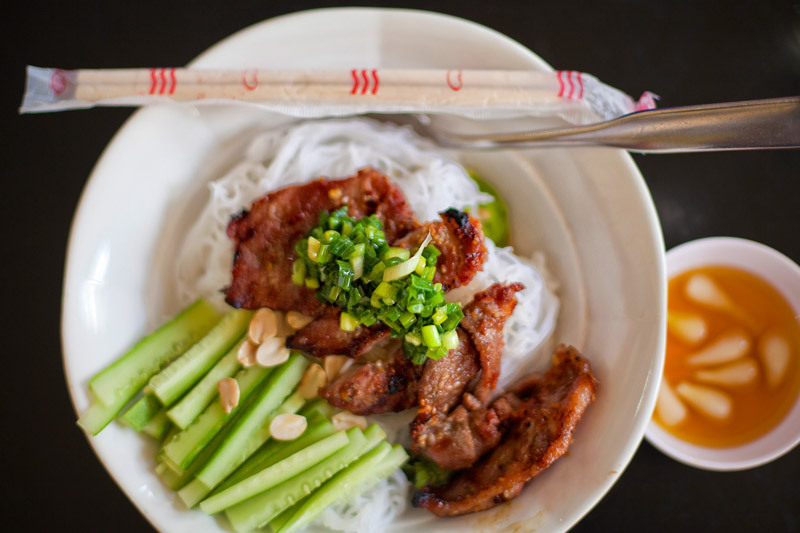 A Southern Vietnamese specialty, bun thit nuong is a light and fresh rice-noodle salad topped with barbecued pork. The dish is visually appealing, with the pork, crushed peanuts, and pickled carrot and daikon sitting on top of the bun noodles. Hiding underneath these carefully arranged toppings are shredded herbs, finely sliced cucumber and bean sprouts. 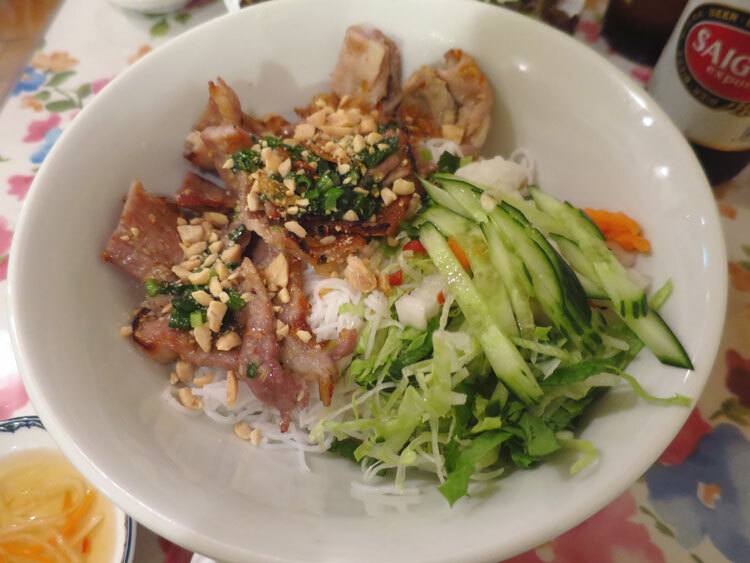 Bun thit nuong is usually served with a side of nuoc cham, which should be poured over the noodles as a dressing. Some street food vendors add slices of fried spring rolls (cha gio) and/or prawn paste (chao tom) to their bun thit nuong. Literally "broken rice", the name of this type of street food stall refers to the most inexpensive grade of rice: the broken grains that were damaged during harvesting. Com tam joints are popular with working people who want cheap and cheerful home cooking, served fast so they can get on their way. 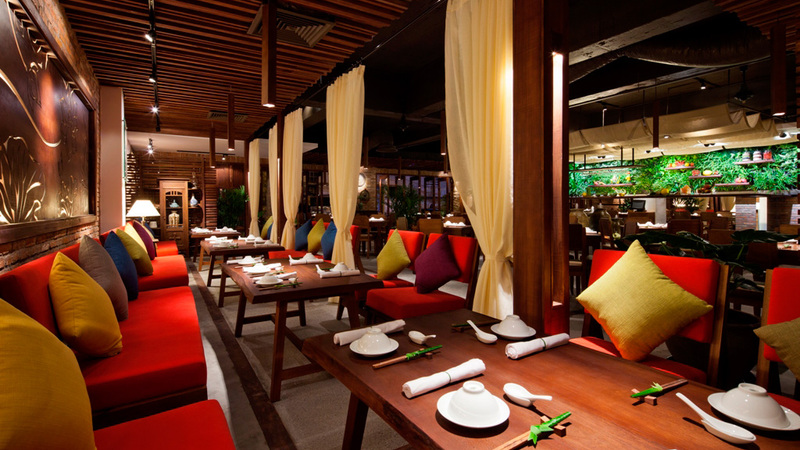 The beauty of these places is that all the food is on display, which makes ordering easy if you don't speak Vietnamese. Generally, a com tam meal will include rice, a serve of whatever dish is ordered, a side of vegetables and a small bowl of the soup of the day. The signature dishes of most com tam places are barbecued pork and cha trung, a bright yellow egg pie that falls somewhere between quiche and meatloaf. 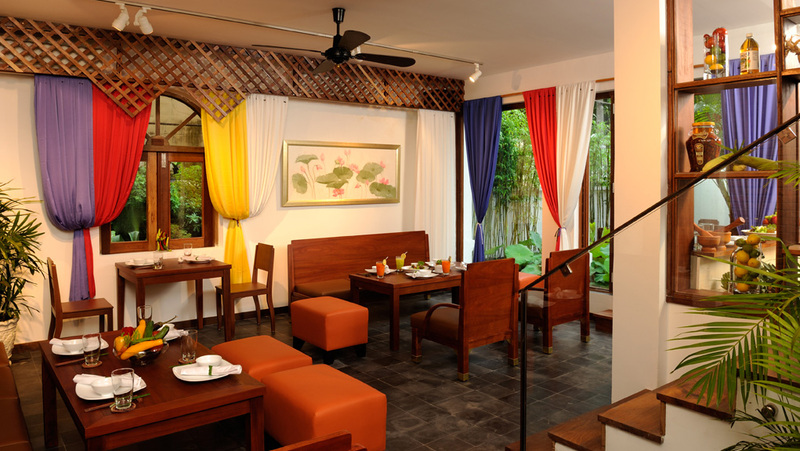 You'll also find a selection of pork, fish, prawn and tofu dishes. Long thin beef patties are wrapped in la lot leaves, which are related to betel leaves but not as bitter. The rolls are barbecued on a charcoal brazier, creating a fragrant smoke that adds to the street food dining experience. When cooked, bo la lot looks like a platter of beat-up cigars. The beef rolls are served with fresh herbs, a mound of fresh bun rice-noodles, thin slices of green banana and sour starfruit and a small dish of fermented fish dipping sauce. 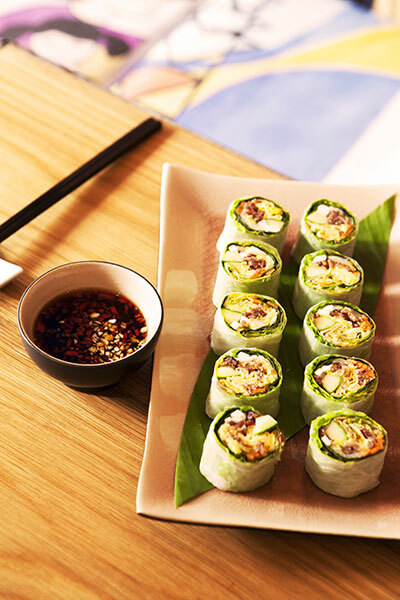 To eat, wrap a beef roll in a lettuce leaf with a selection of noodles and herbs, and dip in the dipping sauce. 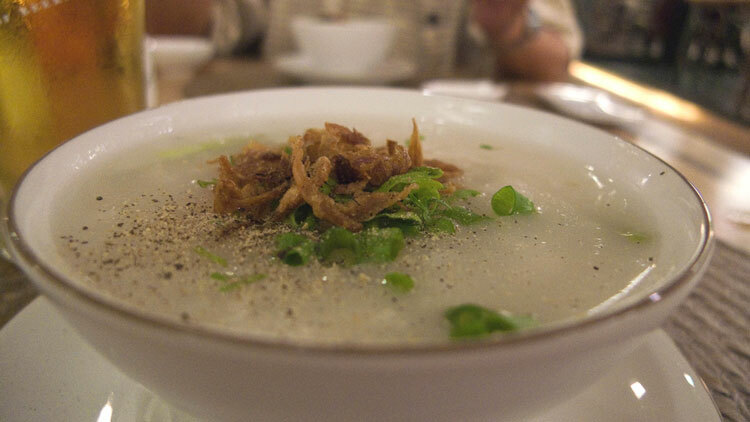 The Vietnamese version of rice noodle porridge is related to the famous Chinese congee ... but better. The rice isn't cooked until its mushy, only until it's soft, creating a flavourful savoury comfort food that's easy to digest. Various types of chao are available on the streets of Ho Chi Minh City, including fish, which usually contains slices of snakehead fish from the Mekong Delta. 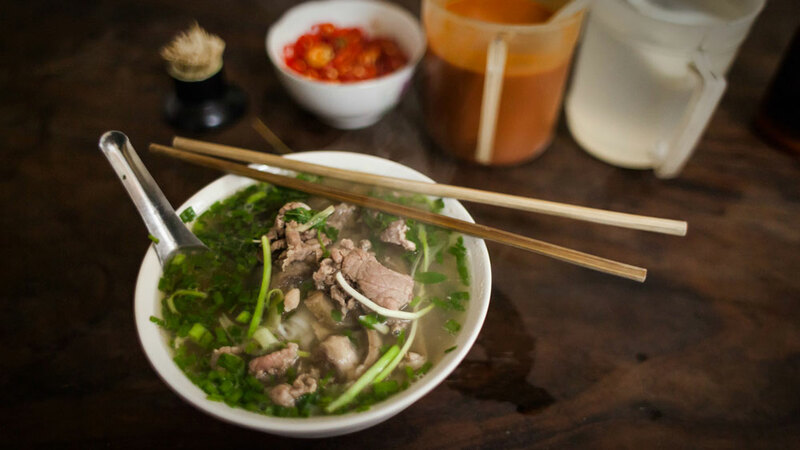 The most popular type of chao in Southern Vietnam is chao long, pork offal rice porridge, which isn't to everyone's taste. Chao is usually served with lime wedges, a dish of cracked pepper and fish sauce. 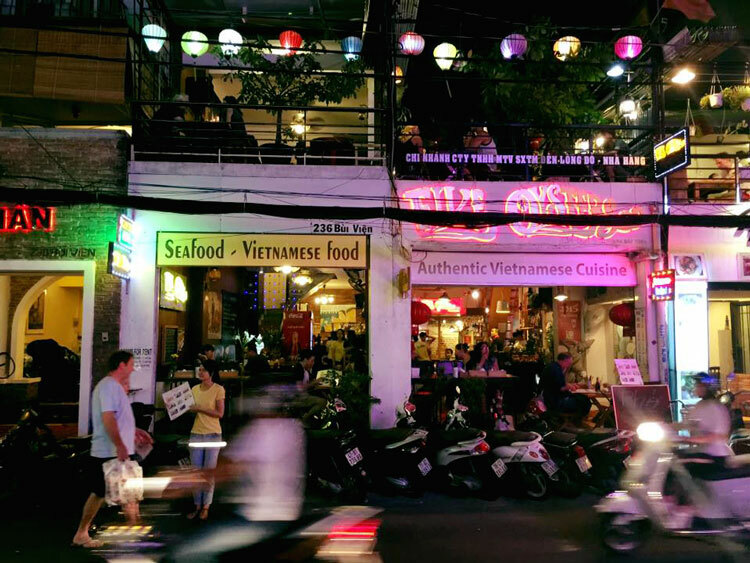 Street food in Ho Chi Minh City is not limited to these 10 most popular dishes. Another one of my favourite for instance is the Mi Quang from Central Vietnam. What about yours? Please share with us your recommended street eats in Vietnam by leaving a comment below! And although I love Saigonese street food, sometimes I am in pursuit of pizza! 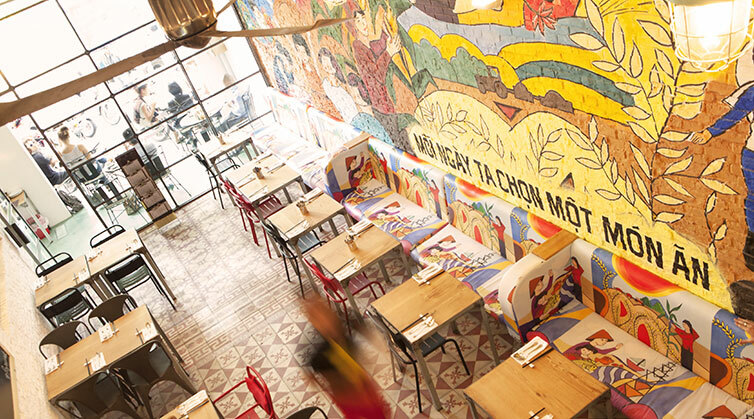 Check out our article about the best pizza in Ho Chi Minh City!